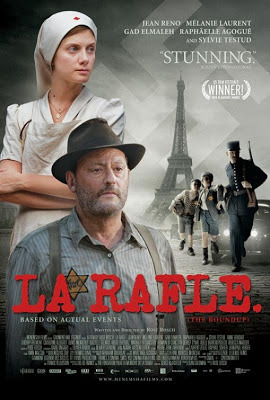 La Rafle (recommended): This French Holocaust film movingly documents the 1942 roundup of Jews by French police, featuring a strong central performance from Mélanie Laurent and a talented French ensemble. Now playing in limited release in New York and Los Angeles. Read my review from yesterday. Price Check (anti-recommended): This comedy starring Parker Posey and Eric Mabius doesn’t have much going for it, featuring unexceptional characters and a generally uninteresting plotline. Posey is fun as usual, but that’s about it. Now playing at the IFC Center in New York City. My review will be up tomorrow. Nothing I’ve seen this week, but I’ll be watching a film I missed in its theatrical release, Brave, very soon. I’m not rushing to see either Savages or The Watch.